Members of the Lauderdale County School Board were recognized at the October 2018 school board meeting as a TN School Board of Distinction. 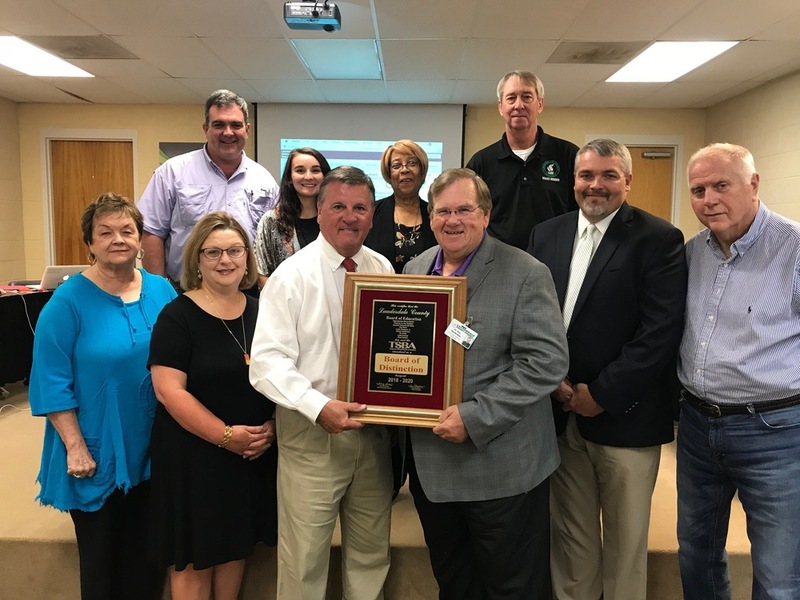 Delta District Director, Marty Burlison, presented Chairman Harkness with the plaque which identifies Lauderdale County's school board as a board of distinction through 2020. TSBA's Board of Distinction program recognizes boards for outstanding performance as a whole. In order to receive this honor, school boards must meet specific requirements in four key areas; planning, policy, promotion, and board development.